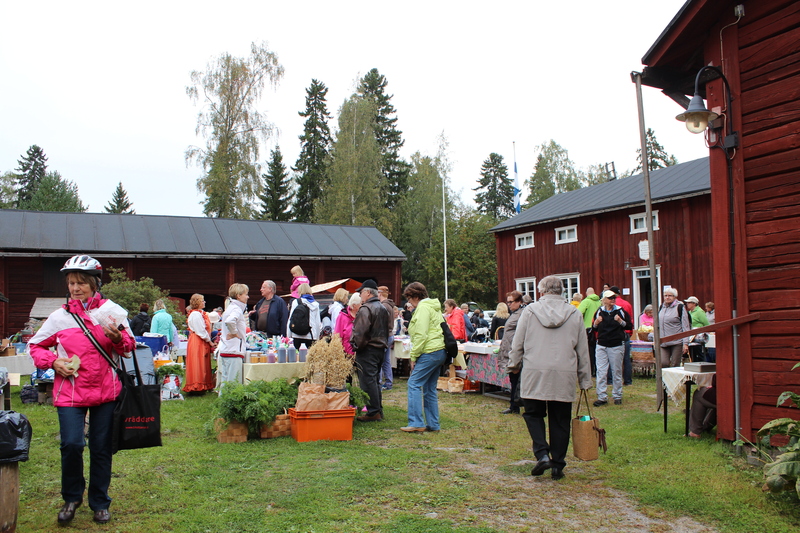 Today we went to my old hometown Vasa (Vaasa in Finnish) for an autumn fair. We wanted to buy vegetables and see what else the energetic people from the museum guild at Brages Friluftsmuseum where up to. I have a faint memory of buying something at the fair many years ago while I still lived in Vasa, and I know I’ve visited the museum a long time ago. Today I found a museum worth a visit any time in the summer when it’s open. 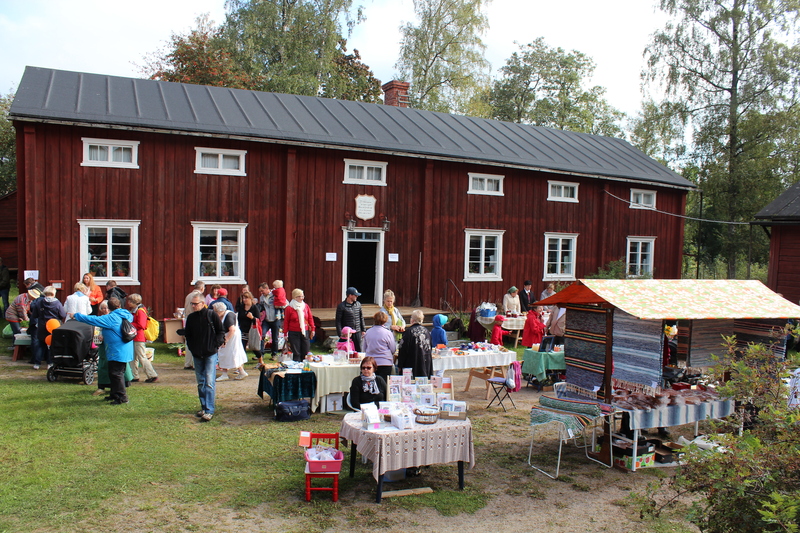 Most of the small museums in Finland are closed all other times except for summer because of the difficulty of heating the buildings, and also because most of them are maintained by local enthusiasts who don’t get paid for all the work they do. There were far more buildings than I remembered, and the wedding room in the biggest house was more splendid than I remembered. We came early, luckily, as there kept coming more and more people all the time and it must’ve gotten crowded later. I’ll return to this in another post, because there was lots to see in that room. 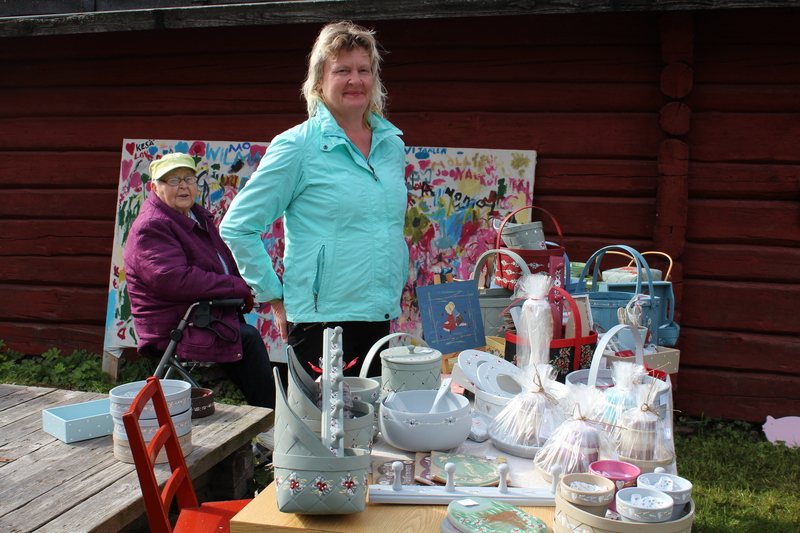 My friend Doris from Topparsbacken and her mother were there with Doris’ painted items. I owe several of her beautiful painted baskets. 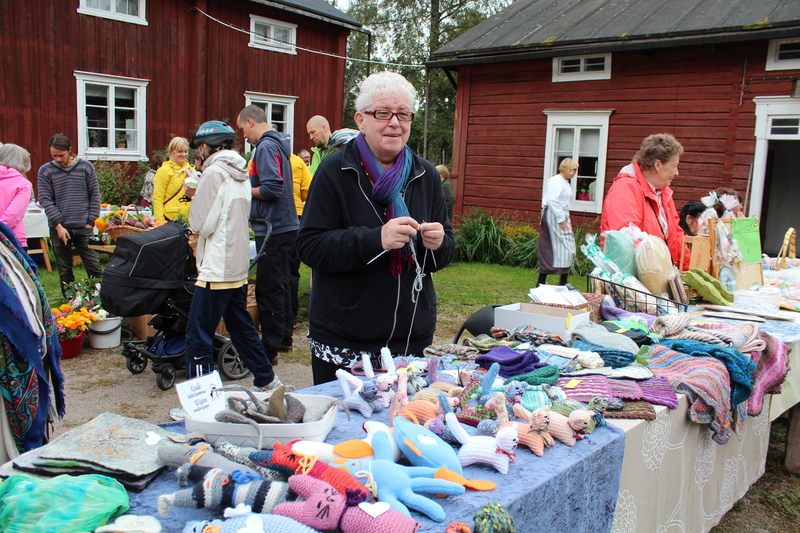 There was much good handicraft, mostly knitted, but also woven. Finns usually don’t want photos to be taken, as they are afraid of copy cats (for good reasons), so I didn’t take many close ups of the booths. My constantly knitting friend Harriet was there, and she didn’t reject the thought of being uploaded! 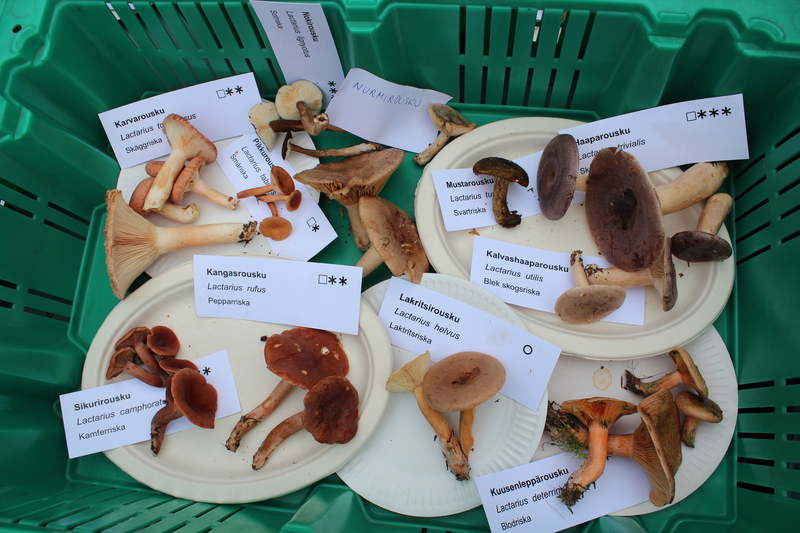 I want you to see how well mushroom information is spread in Finland. 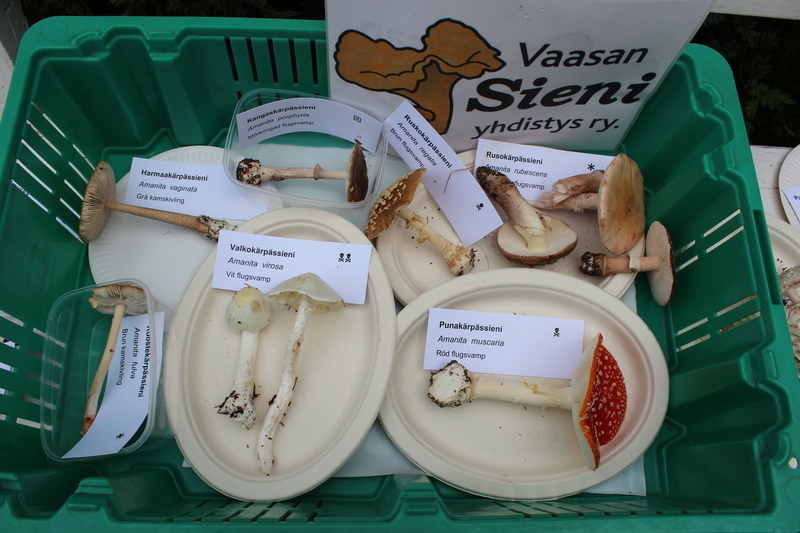 A guild from Vasa, Vasa Svampvänner, has been doing this for decades, going to fairs with fresh mushrooms and answering questions and helping people with identification of mushrooms. 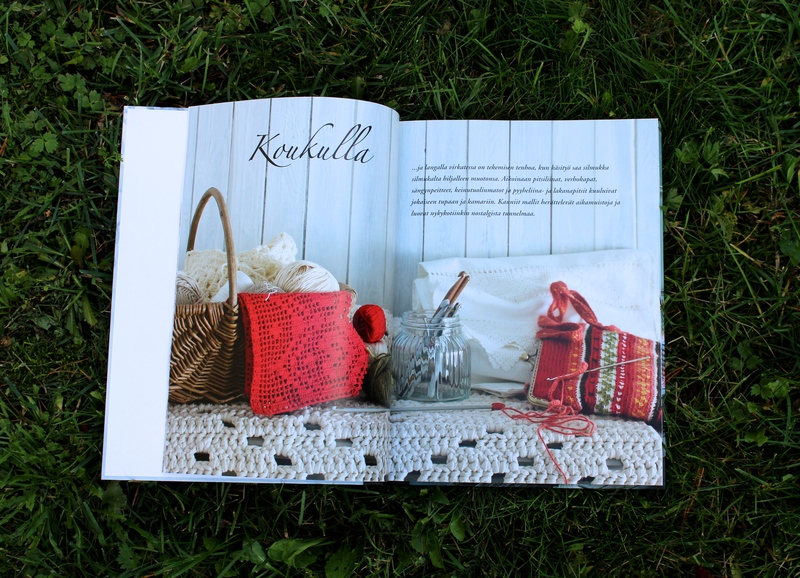 All over Finland different organisations are sharing their knowledge with the help of educated experts. It was in one of the guilds in Vasa I first learned the basics about mushrooms. The first rule is: NEVER eat a mushroom you can’t by certainty identify! The main building of the museum is quite impressive. In our cold climate it’s not wise to build so big that heating becomes both laborious and expensive, so old farm houses like this always indicate a wealthy farm. 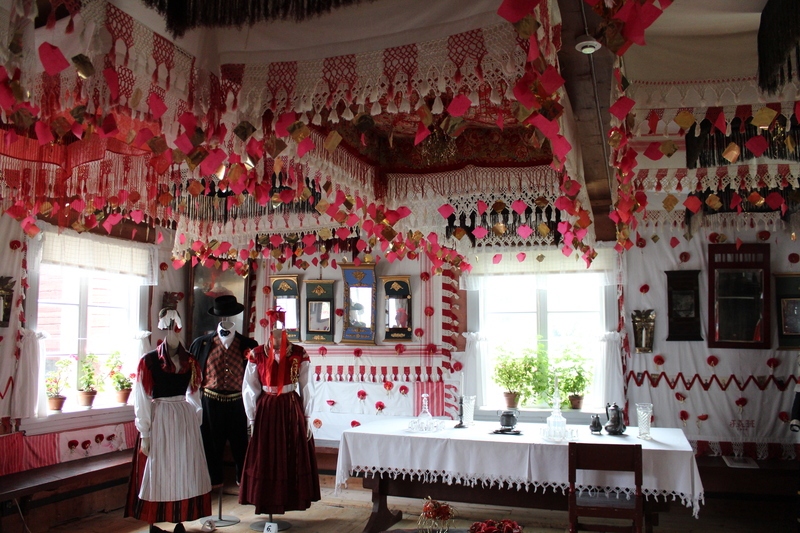 The red paint you can see in so many places in Ostrobothnia originally came from Sweden, where farm houses traditionally were painted with a red earth colour that has been produced in Sweden for several hundred years. Wedding Room is amazing and WHY are non-edible mushrooms so pretty??? Yes, why on earth? A cruel joke from nature?